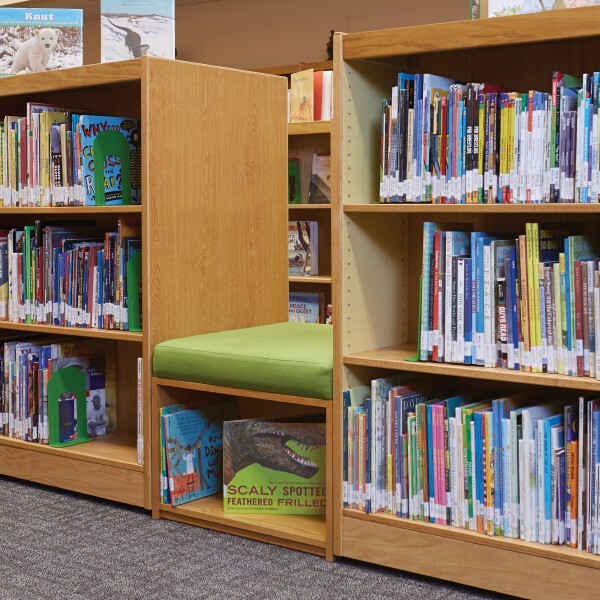 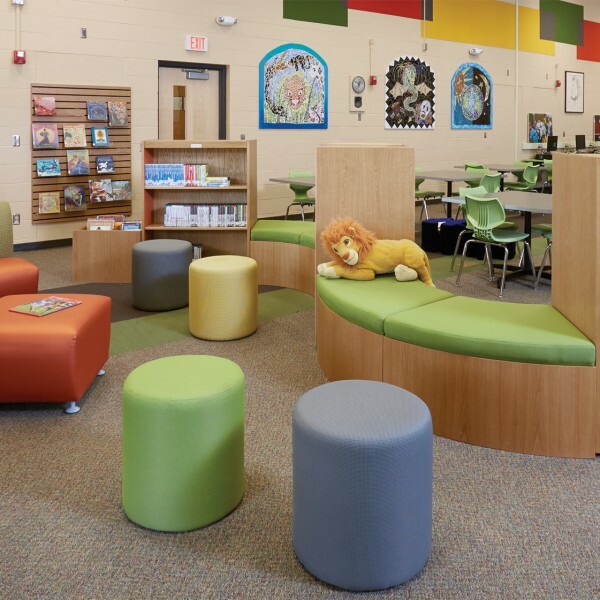 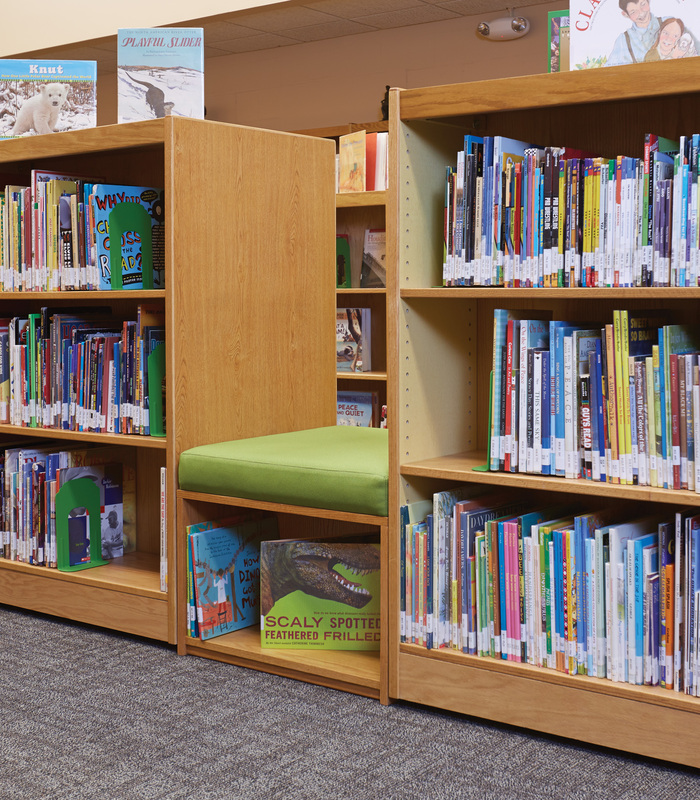 A variety of seating options fill this reading nook, including Encore armless lounge seating, JSI Totem pods, and Demco's ColorScape Benches integrated within runs of shelving. 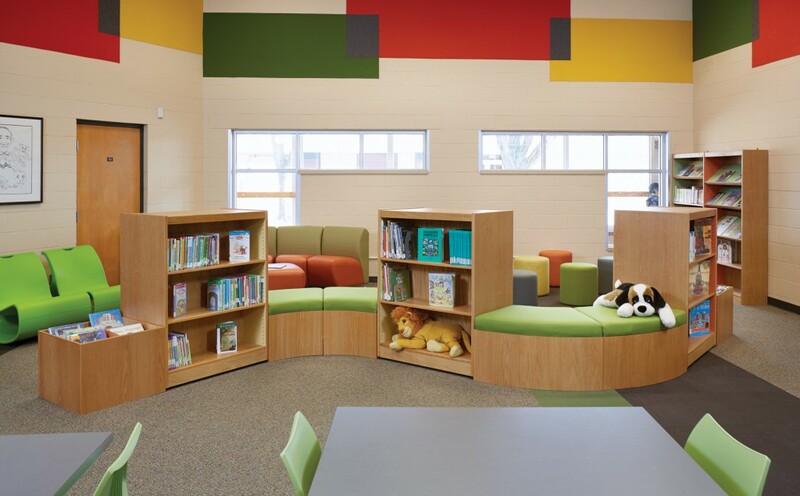 ColorScape shelving with integrated seating incorporates display into shelving as well as slatwall end panels. 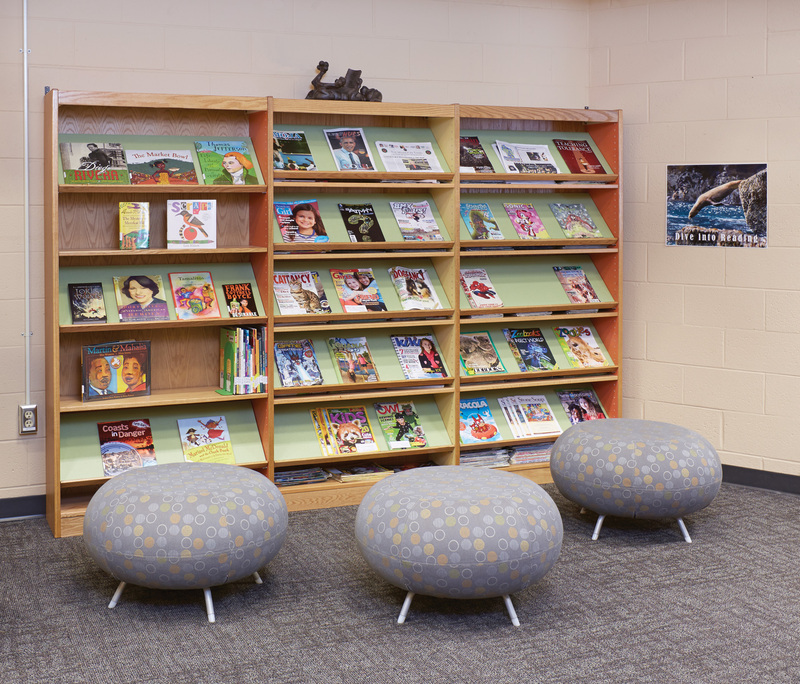 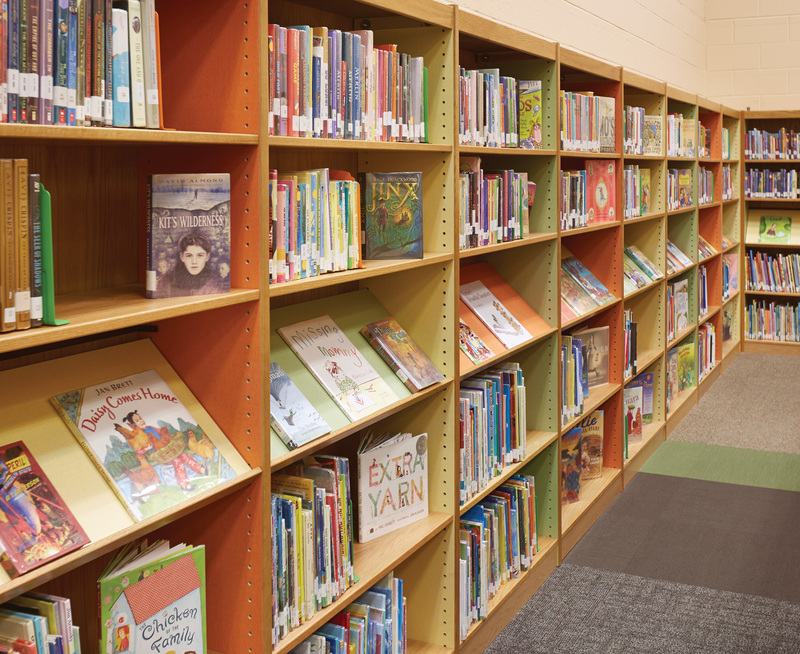 Display shelves are thoughtfully placed in the center of these ColorScape shelves for elementary students to view easily. 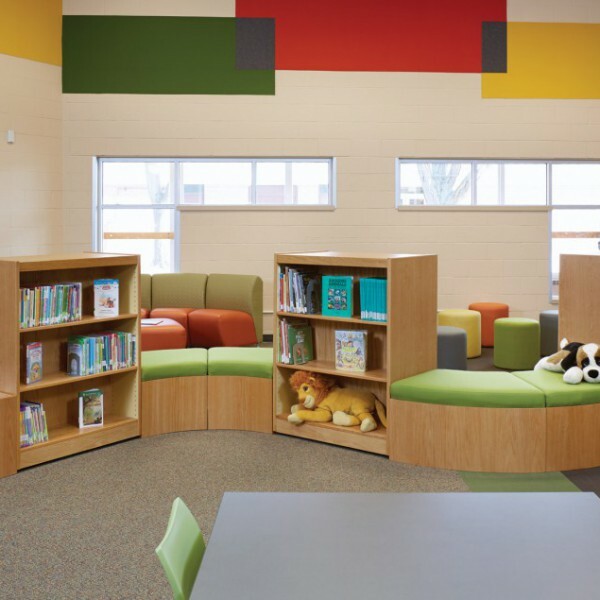 Librarians enjoy extra book display and storage below these ColorScape benches. 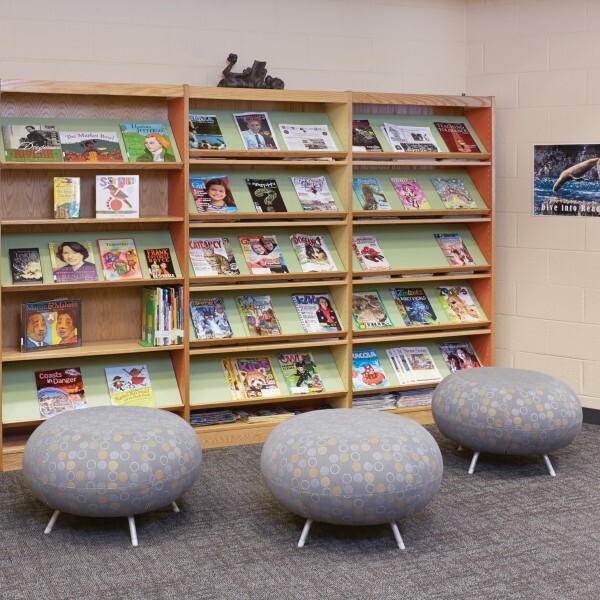 Allermuir Pebble Stools provide the ideal spot to flip through a magazine chosen from this ColorScape periodical shelving. 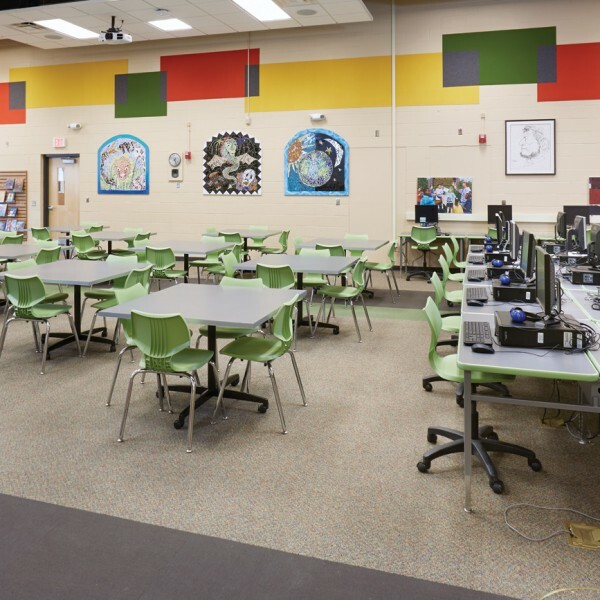 Community Prep tables and computer desks along with Smith System Flavors Chairs offer a coordinated look for this library. 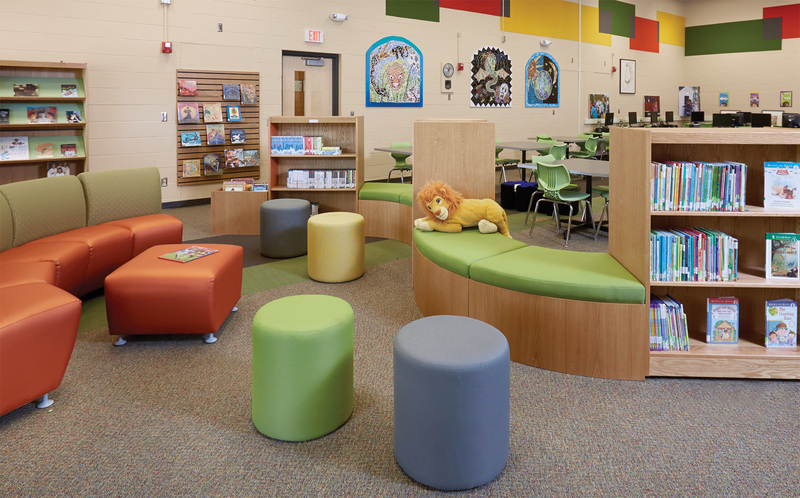 Abraham Lincoln Elementary School had been making do with drab library furnishings for almost 50 years. 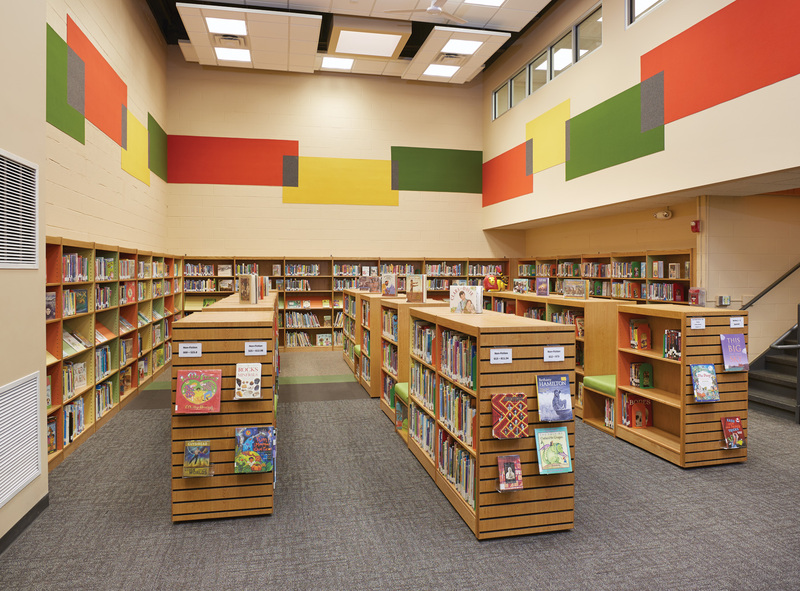 In 2013, the school got its long awaited update. 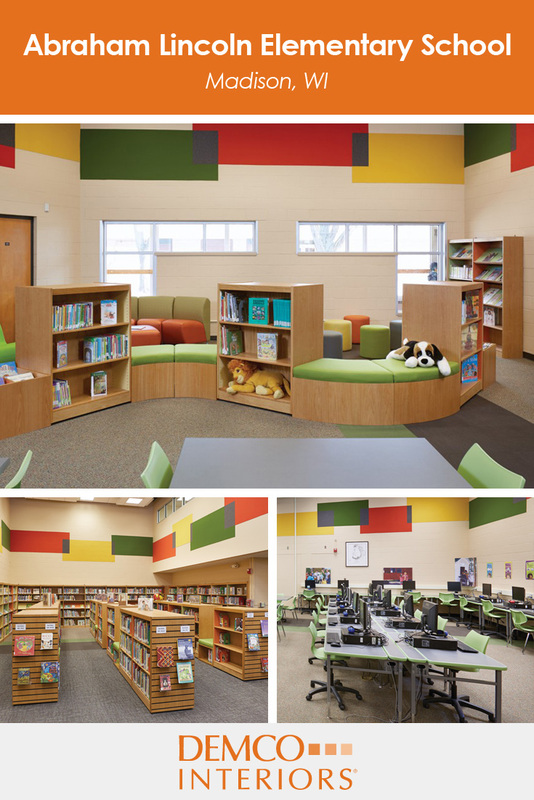 DEMCO Interiors found creative ways to infuse natural light, brighten up the space with modern soft seating, and add flexible flip tables, a computer lab and wall murals. 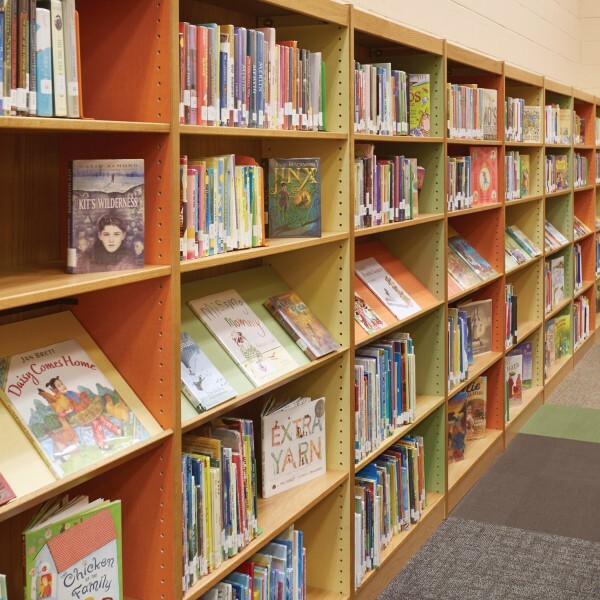 Good-bye 1963! 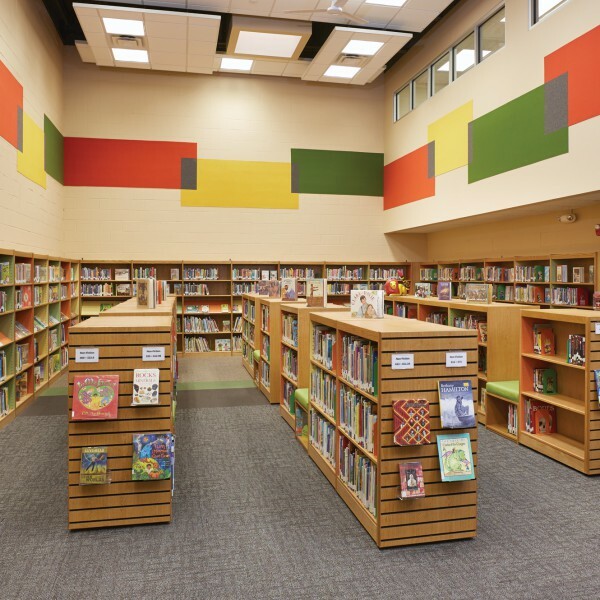 Hello library decorating ideas.